Do you ever wonder what exactly all the hype is about with Kyani? Is it a cure to your health problems? Well first hand, I can tell you I was skeptical because I can go to the health food store to get natural things like vitamin C and eat healthy salads. That’s a no brainer but if you have a busy lifestyle and need a quick, fast, efficient way to get all your nutrients then you should consider Kyani Sunrise, let me tell you why. Okay so you reach for a cup of coffee – but is a coffee enough? Some people commonly have “burn-outs” in the middle of the day, boy do we all know this feeling. First off that’s no fun and now you need more coffee. For me, well, I enjoy the taste of sweet juice. 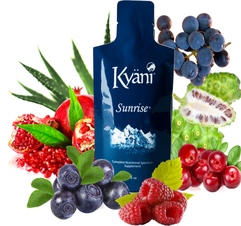 Kyani Sunrise has this sweet sugary taste that makes you want more, also with the benefits listed below.  Enables effective stress management.  Supports the immune system.  Promotes positive mental health. This cute “to-go” drink has all the vitamins you need, instead of exasperatingly searching for a wide variety from the vitamin stores. I think it is amazing to be able to just take this little sunrise packet “on the go”. With all those energy drinks out there that have more negative impacts like jitter, this one doesn’t. For me this was a great and affordable way to get energy daily. I have saved a lot on Starbucks and that means money. Again of course your health benefits from this product is superior to other supplements on the market. Superfruits are popular in many places in the world and you have access in one little pouch. Let me tell you from someone who works at a desk all day – I am not as active as I should be and daily exercise is important. Though using this made it possible to get up and do some light walking, consistently, daily. 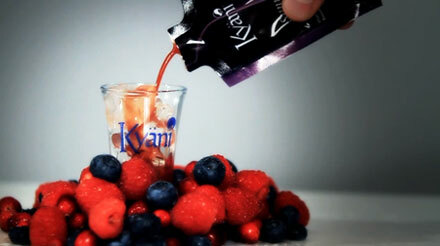 I hope you try Kyani Sunrise because it is not only easy to drink but also great on your health! See our Kyani Sunrise page here for more info on the product, including ingredients and a link to Kyani’s online shop!